Creating a minimum viable product (MVPs) is releasing an app that contains basic features of the product that would satisfy the early adopters, so as to get feedback and market response before creating a well-developed application. Building MVP will be ensuring that how well the product will be quenching the purpose of users for which it is made. All the improvements can be incurred after getting user’s feedbacks so that the product can be reframed in a way the audience desires. It will lead to promising market capturing results or will definitely increase the chance of launching successful product. MVP is more or less like a simulation of market. However, the only difference lies here is that the user experience and market are real for the initial launch and testing of the semi-structured product. It can make the mobile app development companies aware about the need of the market so that they can develop a potential idea to work on. A survey reported that 42% of the companies failed as there were no users for mobile app development services that they provided because the goal of the application was not worth using. Hadn’t they have made a Prior MVP and tested the product from real market; they could have shifted to accomplishing some other innovative products. 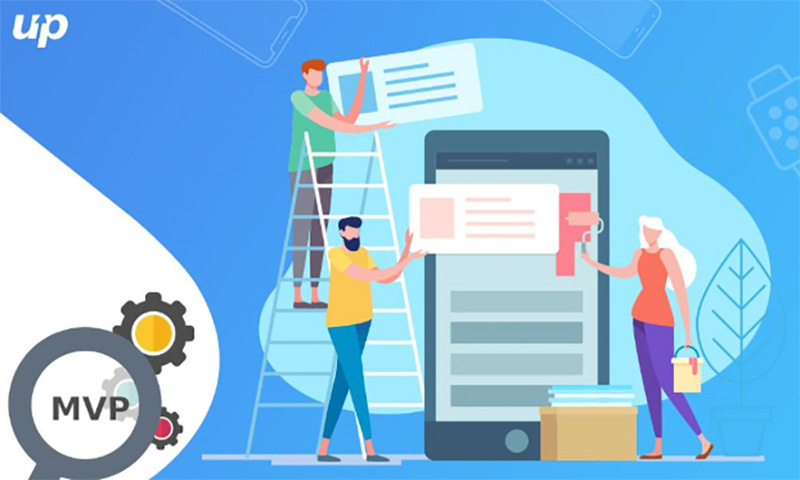 There are so many applications that once launch MVPs and then became victorious by gradually enhancing their mobile app services and adding valuable features. Some of the most recognized apps which included MVP in practice and landed in a better place from where they started are listed below. There is another app giant who introduced a costly MVP into the market, that is more investment and time was spent for the launch of MVP and that basic application was Whatsapp. However, the companies listed above proved that appropriate but cheap MVP can also give good outcomes since they were startups and could not afford such expensive MVPs. The only reason why consumer will use an app, is by knowing the concept and how that concept will solve the user’s purpose. Mobile Application Developers cannot randomly ask people what they want. User’s take interest when they feel that the functionality offered is relevant and can be utilized easily in everyday life. Launching apps without any specific feature that has a sole purpose to solve would be waste of time and money. Therefore, role of the product should be specified boldly. 2. Identify the target audience for your applications. The companies should know who their customers are and how will they use the product? What would be the frequency? How should it be marketed? What functionalities will be used by the users the most? What is the need for the product? What expectations are users looking forward to? The answers to these questions will help company to discover the set of audience which will get benefited from the product. The feedbacks will let mobile application developers to improve on the product by adding other expected functionalities. Thus, a product which keeps on having updates is well appreciated in the market because people can see that their response has brought effective changes in the application services provided earlier. No one can market a feature or capability which is already available. People need something different which grabs their attention and entice them to have the product. Initiating the app with a boost requires companies to prioritize the most valuable feature first and then the rest of the functionalities. The product will turn out to be more usable if the main feature gets full attention. MVP doesn’t mean that the development company can launch a simple product sacrificing the quality of product. Instead it means releasing a product highlighting the main feature along with the basic functionalities. Compromising on the money and time will never earn them profit. Be smart while choosing your developer partner, however it is very difficult to choose from top-rated mobile app development companies to get into the perfect scope of app. Respond wisely to the market demands in order to determine technical feasibility of the product. This step is necessary to identify whether the product is able to solve the problem for which it was specifically made. Assumptions don’t work in real market; one has to start by confronting the real product users and fetching their demands. MVP is basically a functional blueprint that the company can launch in cost-effective manner before building a fully functional product. Market’s concern for the product can be grasped from the findings. 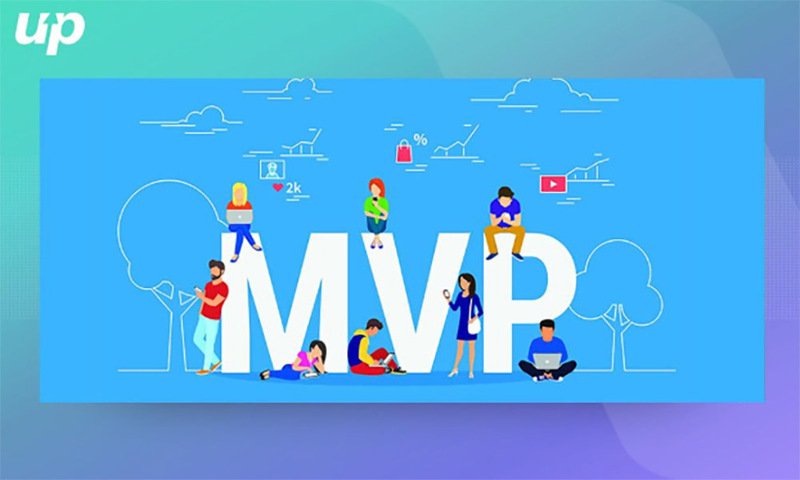 At the first launch, the MVP should not be audience specific as the company might not know how different people will be using its functionalities. Confining your product to core set of users would narrow out your promotion spectrum. Deciding the correct group of people which will actually use the product is another impossible task since the audience is too large to be explored. Therefore, it can be inculcated that mobile application development would be successful by incorporating minimum viable product; it’s a smarter choice to start with the actual market feeds.